Walton Goggins Cast as Villain in New Tomb Raider Movie! 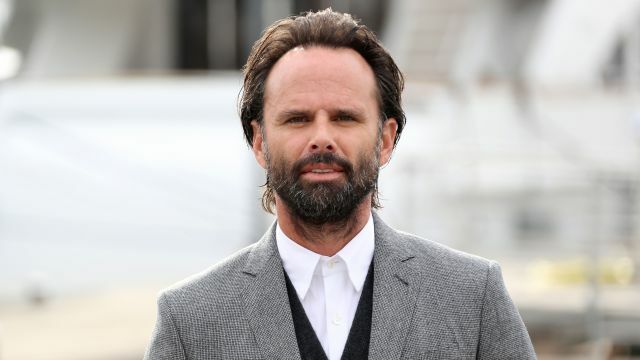 Variety brings word that Emmy-nominated actor Walton Goggins (Justified, The Hateful Eight, Django Unchained) has been tapped to play the main villain in the new Tomb Raider movie. He joins Academy Award winner Alicia Vikander (The Danish Girl), who will play the titular Lara Croft in the video game adaptation. RELATED: Alicia Vikander is Lara Croft in the Tomb Raider Reboot! Norwegian filmmaker Roar Uthaug (The Wave) will direct the film, which has a script by Transformers: The Last Knight scribe Geneva Robertson-Dworet. The original Tomb Raider game was published in 1996 by the London-based video game company Eidos and became one of the most successful video games of the time. A reboot of the series, telling the origin of Lara Croft, was released in 2013 and sold over 5 million copies. The most recent game, titled Rise of the Tomb Raider, is available now for the Xbox One, Xbox 360 and PC. Paramount Pictures previously made two movies about the daredevil archaeologist on a series of global missions. The films, Lara Croft: Tomb Raider and Lara Croft Tomb Raider: The Cradle of Life, starred Angelina Jolie and grossed a combined $432 million at the worldwide box office. Tomb Raider will be distributed by Warner Bros. with MGM. They will produce the film with GK Films. The new Tomb Raider movie is scheduled to hit theaters March 16, 2018.